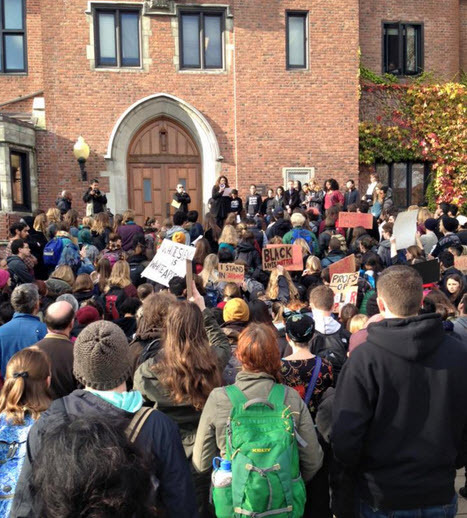 Students and Faculty of the University, organized by the Advocates for Institutional Change, walked out of classes on Thursday, November 19, to stand in solidarity with universities around the nation and to demand change at Puget Sound. Read the Trail article, December 11, 2015, p.1. See also "Demands of the Advocates for Institutional Change," The Trail, November 20, 2015, p. 1, and the News Tribune, November 19, 2015. Reactions to Ferguson at Puget Sound, The Trail, December 5, 2014, pp. 103. Black Student Union Plans Protest, Trail, December 9, 2014. Community Collaborative Event: Black Lives Matter and We Can't Breathe. Includes Dr. Gordon's comments at Race in Tacoma: A Response to Ferguson. For the small number of black students on Washington college campuses, a subtle undercurrent of racism can make higher education a hostile place. This subject guide highlights only a small portion of the many resources available to you. If you're not finding what you need, don't hesitate to contact Lori! 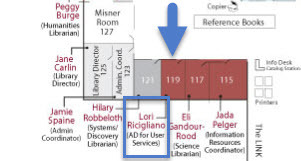 You can also request a research appointment with Lori. Subjects: African American Studies, General/How do I...?